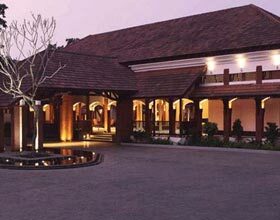 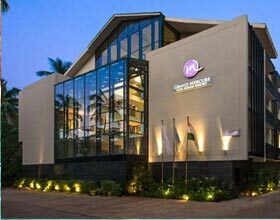 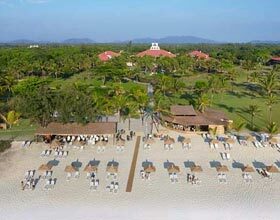 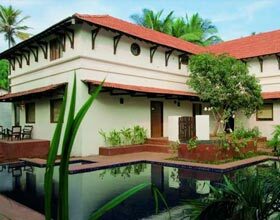 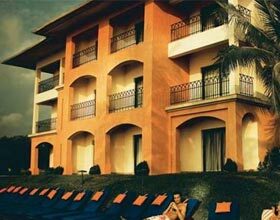 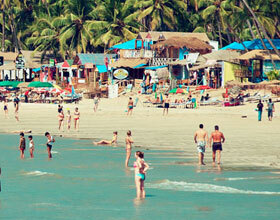 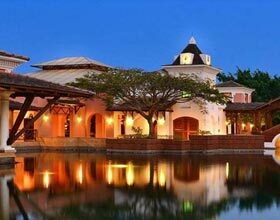 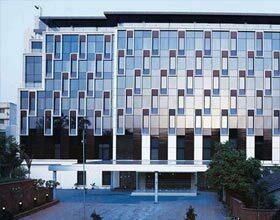 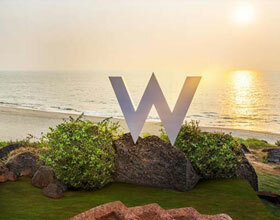 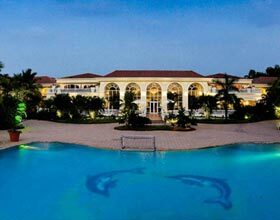 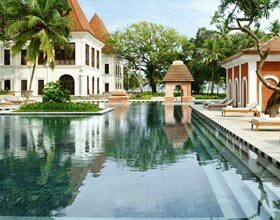 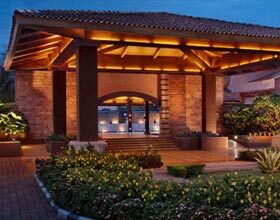 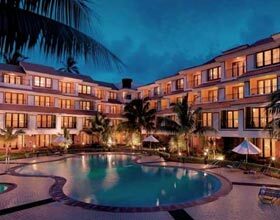 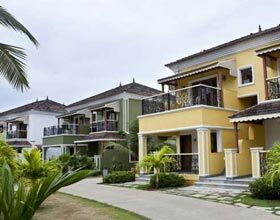 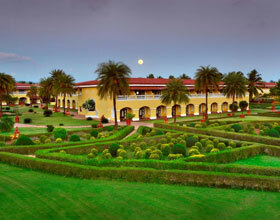 Hotel Novotel Shrem Resort enthralls the enchanting beauty of North Goa. 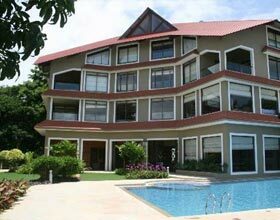 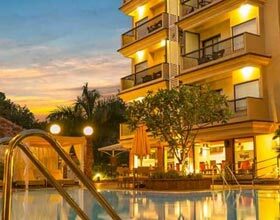 This hotel is an ideal choice for stay by travelers since it's in the close vicinity of all famous hangouts. 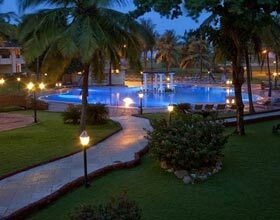 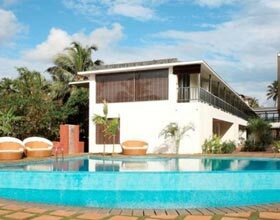 Nested near Candolim and Calangute beaches along the northern Konkan coastline, Hotel Novotel Goa offers various recreational and fitness facilities including Jacuzzi, Swimming pool, Fitness centre and Gaming Arcade arena for kids. 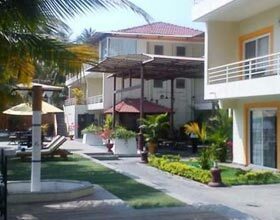 Hotel has 85 rooms including 7 suites which are further categorized into Superior Room, Executive Room, Deluxe Room and Junior Suite. 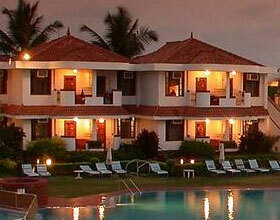 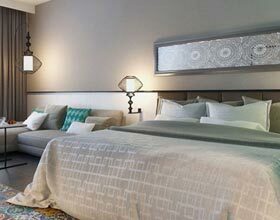 All rooms are equipped will modish amenities for comfortable stay. 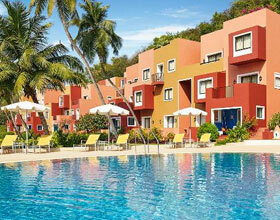 Novotel Shrem Resort, Goa serves tempting food and beverages. 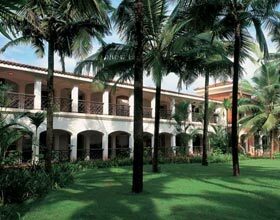 The Square offers scrumptious global and local Goan food in its menu. 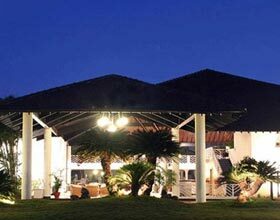 Enjoy the live performance when you visit this fine dining restaurant. 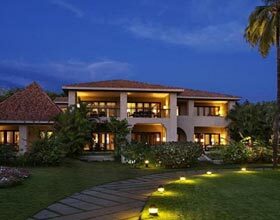 The Bar - Dine in light snacks and choicest beverages, or take away freshly baked confectionery. 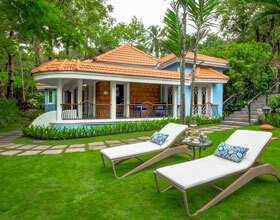 The Swimup Bar is a best halt to relax in between laps of swimming in this pool side bar.